Marina Balahurova - Veliko Tarnovo & Arabanassi - Rila Monastery Bus From Sofia. Tour To Boyana Church And Rila Monastery. Marina Balahurova is far more than a knowledgeable guide. Her tours are not only informative but fun and very interactive. Smiling, energetic, passionate, caring and a little provocative – this is how tourists remember her. She has many interests and our team in the office always like to chat with her when she drops by. We enjoy not only talking to her but listening to her vocals, as she is a fantastic rock singer. 1. What academic major have you graduated and how did you end up being a tourist guide? High school – Management and economics; BA – Public administration and I have just signed for my MA – Primary school teacher 🙂 Being a Sales person 8 years in Telecommunications didn`t make me happy and I took the risk to make a total change. I cannot be happier now that I have taken this decision! 2. For how long are a licensed guide? 3. 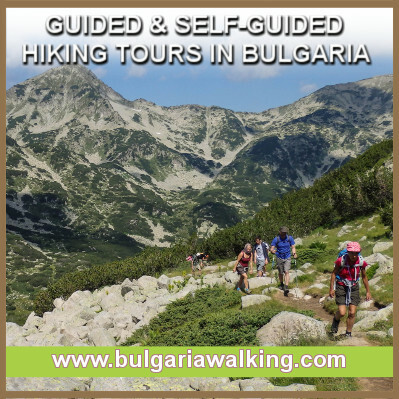 Do you guide tourists only in Bulgaria or in other countries as well? 4. Why did you accept your nomination to become a member of the executive board of the Association of the Bulgarian Tour Guides? I accepted it as an honor and an opportunity to try to change something in the Tourism in Bulgaria. 5. Undoubtedly, one of the most famous tourist highlights in Veliko Tarnovo is the Samovodska charshia – a popular craftsmen street. Can you tell us a little more about it? This is a great place to learn more about traditional crafts in Bulgaria and where you can meet the locals. The atmosphere here brings you back in the 19th century with the little shops and cafes. 6. What are the top 5 sites at Samovodska Charshia street that your tourists find most interesting? The pottery shop (they have original patterns from 14th century); The weaving shop; The bakery to see how they make Kadaif – a traditional dessert; The Wood making shop and definitely the Café shop to get “orehovka” and coffee prepared on sand! 3. Do you take your tourists to a specific spot for a panoramic photo of the town and the meanders of Yantra river? I hope it is not a secret that you wouldn’t share. Yep, I do :). The locals call it The Horsemen, but it is the Monument of the 4 kings of medieval Bulgaria. Great view of Tarnovo and Yantra river and a nice park near it. It is close to the tourist center. 4. Which are the top 3 restaurants for tourist groups in the town? Please outline their main advantages. 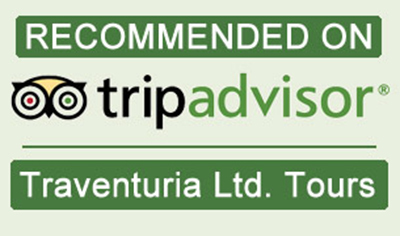 Do they differ from the one you recommend for individual tourists? I like very much Shtastlivetsa (their own style of a cuisine); EGO 1 (great view of the river); Gurko (traditional cuisine). All of them are ok for both groups and individuals, but keep in mind to make a reservation. In the summertime, it is nice to go to the park “Marno pole” with the Open theatre and to have grill food and a beer :). 5. Is there any special dish for the region of Veliko Tarnovo that tourist should try? Something different from the typical Bulgarian cuisine? Hmm good question… not really….maybe try Kadaif (dessert) which only here I have seen. 6. Which tourist attraction is not included in the tour operators walking routes of Veliko Tarnovo, but you personally think should be on the must-see list? The Turkish prison (it is scary but very different); The church St.Peter and Paul because it is the only one with authentic medieval murals. Sarafkina house. 7. Let’s travel the 4-5 km from Veliko Tarnovo to the Village of Arbanassi. What impresses most the tourists visiting the village? The amazing atmosphere. The houses there are with big walls so you cannot see anything at all. Definitely visit Konstantsalieva house and the hidden church of the Nativity from the 16th century. 8. Kostantseliev’s house is one of the main attractions in Arbanassi. What is it famous and interesting for? It was built in the 17th century by an old Arbanasi family Tafrili. There were difficult and unsecured times so they built very well protected house. Two floors. The second one has summer and winter rooms and a big kitchen but what personally amazes me is that they made inner toilets.